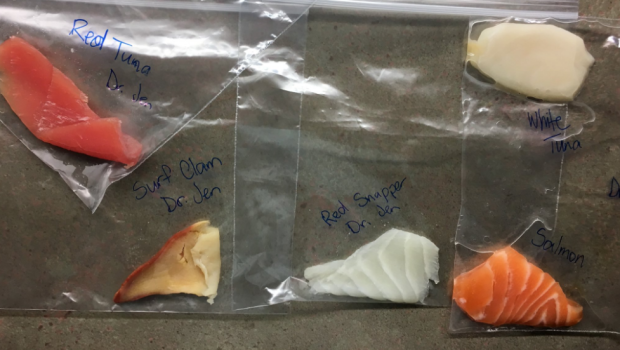 A biology class that tested nine different samples of fish sold in sushi restaurants and grocery stores in southwestern Ontario was shocked to learn seven of the samples were mislabelled as different species of fish. Even worse, one of the samples included a tiny louse that feeds on human skin. The alarming discovery was made last week by a molecular biology class led by Jennifer McDonald, a professor at Fanshawe College in London, Ont. The project began as a lesson in DNA barcoding. Students were tasked with picking up fish at sushi restaurants and grocery stores and bringing them to class. The samples were collected from across the region, including Mississauga, London and the Muskoka region, and sent to a lab at Western University. McDonald suspected some mislabelling. A study released last summer by ocean advocacy group Oceana Canada found that 44 per cent of seafood tested in five different cities were mislabelled. Similar studies conducted on the east and west coasts found the odds of mislabelled fish at around 50-50. “So I figured it might be a little bit higher than what they found there. But this much?” McDonald said. Several of those findings raised serious alarm bells. Escolar contains an oily, indigestible substance named gempylotoxin that can lead to diarrhea, nausea, vomiting, abdominal pain, and headache. “It was just shocking to everybody,” McDonald said of the discovery. The fact that tilapia passed as red tuna was also concerning, considering the fact that tilapia is a white fish. “There had to be some kind of colouring on it. 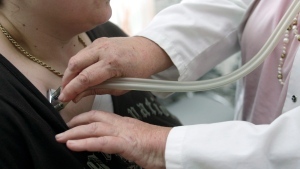 Either it was from a natural source or artificial food colouring, I’m not sure,” McDonald said. Then there was possibly the most disturbing discovery: a body louse found on a piece of salmon purchased in a grocery store. Body lice are about the size a sesame seed and are capable of passing along certain diseases. They survive by eating dead human skin. McDonald suspects the louse may have landed on the salmon at some point in the supply chain. “It is really surprising to find that. We hope that we’re not eating insects when we eat food,” she said. The findings reflect a potential for very serious health concerns, especially for consumers with food-related allergies. “We should be guaranteed that what we're seeing or what were told in a restaurant is what we’re actually being served,” McDonald said. Despite the concerns, McDonald said she doesn’t blame sushi restaurants for mislabelled fish. The project was originally intended to be a fun, teachable moment for students. Moving forward, McDonald plans to test more types of fish and seafood, including canned tuna and scallops. The professor shared the results of the experiment on Twitter in a thread expressing her shock and disgust. The thread has since been retweeted more than 6,000 times. “I think it kind of reinforces this feeling everyone had,” McDonald said of the response, adding that many people shared stories of getting sick shortly after eating sushi.